Gardner: SAP Ariba Spot Buy has been in the market a few years. Tell us about where it has rolled out so far, why certain markets are being approached, and then about Latin America specifically. Alvarez: The concept is a few years old, but we've been delivering SAP Ariba Spot Buy for about a year. We began in the US, and over the past 12 months the concept of Spot Buy has progressed because of our customer base. Our customer base has pushed us in a direction that is, quite frankly, even beyond Spot Buy -- and it’s getting into trusted, vetted content. 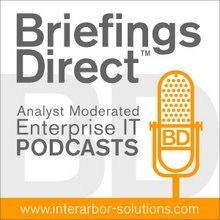 We are approaching the market with a two-pronged strategy of, yes, we have the breadth of content so that when somebody goes into an SAP Ariba application they can find what they are looking for, but we also now have parameters and controls that allow them to vet that content and to put a filter on it. Over the last 12 months, we've come a long way. We are live in the US, and with early access in the UK and Germany. We just went live in Australia, and now we are very much looking forward to going live and moving fast into Latin America with MercadoLibre. Gardner: Spot buying, or tactical buying, is different from strategic or more organized long-term buying. Tell us about this subset of procurement. Alvarez: SAP Ariba is a 20 year-old company, and its roots are in that rigorous, sourced approach. We do hundreds of billions of dollars through contract catalog on the Ariba Network, but there's a segment -- and we believe it's upward of 15% of spend -- that is spot buy spend. The procurement professional often has no idea what's being bought. And I think there are two approaches to that -- either ignorance is bliss and they are glad that it’s out of their purview, or it also keeps them up at night. SAP Ariba Spot Buy allows them to have visibility into that spend. By partnering with providers like MercadoLibre, they have content from trusted and vetted sellers to bring to the table – so it's a really nice match for procurement. Gardner: The trick is to allow for flexibility and being dynamic, but also putting in enough rules and policies so that things don’t go off-track. Alvarez: Exactly. For example, it’s like putting a filter on your kids’ smartphone. You want them to be able to be liberated so they can go and do as they please with phone calls -- but not to go off the guardrails. Gardner: Karen, tell us about MercadoLibre and why Latin America might be a really interesting market for this type of Spot Buy service. Bruck: MercadoLibre is a leading e-commerce platform in Latin America, where we provide the largest marketplaces in 16 different countries. Our main markets are Brazil, Mexico, and Argentina, and that’s where we are going the start this partnership with SAP Ariba. We have upward of 60 million items listed on our platform, and this breadth of supplies will make purchasing very exciting. Latin America is a complicated market -- and we like this complexity. We do very well. It’s complicated because there are different rates of inflation in different countries, and so contracts can be hard to complete. What we bring to the table is an assortment of great payment and shipping solutions that make it easy for companies to purchase items. As Tony was saying, these are not under long-term contracts, but we still get to make use of this vast supply. Gardner: Tony mentioned that maybe 15% of spend is in this category. Diego, do you think that that number might be higher in some of the markets that you serve? Cabrera Canay: That’s probably the number -- but that is a big number in terms of the spend within companies. So we have to get there and see what happens. Gardner: Tony, tell us about the partnership. 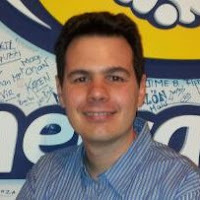 What is MercadoLibre.com bringing to the table? What is Ariba bringing to the table? How does this fit together for a whole that is greater than the sum of its parts? Alvarez: It really is a well-matched partnership. SAP Ariba is the leading cloud procurement platform, period. When you look in Latin America, our penetration with SAP Enterprise Resource Planning (ERP) is even greater. We have a very strong installed base with SAP ERP. Our plan is to take the SAP Ariba Spot Buy content and make it available to the SAP installed base. So this goes way beyond just SAP Ariba. And when you think about what Karen mentioned -- difficulties in Latin America with high inflation -- the catalog approach is not used as much in Latin America because everything is so dynamic. For example, you might sign a contract but in just in a couple of weeks that contract may be obsolete, or unfavorable because of a change in pricing. But once we build controls and parameters in SAP Ariba Spot Buy, you can layer that on top of MercadoLibre content, which is super-broad. If you're looking for it you’re going to find it, and that content is constantly updated. You gain real-time access to the latest information, and then the procurement person gets the benefit of control. So I'm very optimistic. As Diego mentioned, I think 15% is really on the low-end in Latin America for this type of spend. I think this will be a really nice way to put digital catalog buying in the hands of large enterprise buyers. Gardner: Speaking of large enterprise buyers, if I'm a purchasing official in one of your new markets, what should I be thinking about how this is going to benefit me? It saves a lot of time, it makes the comparison very transparent, and you are able to control the different options. Overall, it's a win-win ... a partnership, a match made in heaven. Bruck: Let me talk about this from experience. As a country manager at MercadoLibre, I had to do a lot of the procurement, together with our procurement officers. It was really frustrating at times because all of these purchases had to be one-off engagements, with a different vendor every time. That takes a lot of time. You also have to bring in price comparisons, and that’s not always a simple process. So what this platform gives you is the ability to be very transparent about prices and among different supplies. That makes it very easy to be able to buy every time without having to call and get the vendor to be in your own buying platform. It saves a lot of time, it makes the comparison very transparent, and you are able to control the different options. Overall, it’s a win-win. So I do believe this is a partnership, a match made in heaven. We were also very interested in business-to-business (B2B) industries. When Tony and SAP Ariba came to our offices to offer this partnership, we thought this would be a great way to leverage their needs with our supply and make it work. Gardner: For sellers, this enables them to do repeated business more easily, more automated and so at scale. For buyers, with transparency they have more insight into getting the best prices, the best terms of delivery. Let's expand on that win-win. Diego, tell us about the business benefits for all parties. 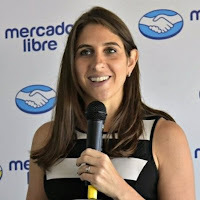 Cabrera Canay: In the past few years, we have been working to make MercadoLibre the biggest “mall” in e-commerce. We have the most important brands and the most important retailers selling through MercadoLibre. What differentiates us is that we are confident we have the best prices -- and also other great services such as free shipping, easy payments, and financing. We are sure that we can offer the buyers better purchasing. Obviously, from the side of sellers, this all provides higher demand, it raises the bar in terms of having qualified buyers, and then giving the best services. That’s very exciting for us. Gardner: Tony, we mentioned large enterprises, but this cuts across a great deal more of the economy, such as small- to medium sized (SMB) businesses. Tell us about how this works across diverse economies where there are large players but lots of small ones, too? Alvarez: On the sales side, this gives really small businesses opportunity to reach large enterprise buyers that probably weren’t there before. Diego was being modest, but MercadoLibre's payment structure, MercadoPago, is incredibly robust, and it's incredibly valuable to that end-seller, and also to the buyer. Just having that platform and then connecting -- you are basically taking two populations, the large and small sellers, and the large and small buyers, and allowing them to commingle more than they ever had in the past. Gardner: Karen, as you mentioned from your own experience, when you're dealing with paper, and you are dealing with one-offs, it's hard to just keep track of the process, never mind to analyze it. But when we go digital, when we have a platform, when we have business networks at work, then we can start to analyze things for companies -- and more broadly into markets. How do you see this partnership accelerating the ability to leverage analytics, leverage some of the back-end platform technologies with SAP HANA and SAP Ariba, and making more strides toward productivity for your customers? Bruck: Right. When everything is tracked, as this will be, because every single purchase will be inside their SAP Ariba platform, it is all part of your “big data.” So then you can actually drop it, control it, analyze it, and say, “Hey, maybe these particular purchases mean that we should have long-term contracts, or that our long-term contracts were not priced correctly,” and maybe that's an opportunity to save money and lower costs. So once you can track data, you can do a lot of things, and discover new opportunities for either being more efficient or reducing costs – and that's ultimately what we all want in all the departments of our companies. Gardner: And for those listeners and readers who are interested in taking advantage of these services, and ultimately that great ability to analyze, what should they be doing now to get ready? Are there some things they could do culturally, organizationally, in order to become that more digital business when these services are available to them? Paper is terrible for companies; you have to rethink your purchase processing in a digital way. Cabrera Canay: I can talk about in our own case, where we are rebuilding our purchase processes. Paper is terrible for companies; you have to rethink your purchase processing in a digital way. Once you do it, SAP Ariba is a great solution, and with SAP Ariba Spot Buy we will have the best conditions for the buyers. Bruck: It’s a natural process. People are going digital and embracing these new trends and technologies. It will make them more efficient. If they get up to speed quickly, it will become less about controlling stuff that they don't need to control. They will really understand the benefits, so it will be a natural adoption. 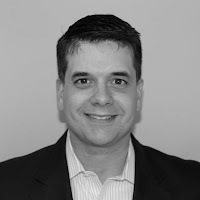 Gardner: Tony, coming back full circle, as you have rolled SAP Ariba Spot Buy out from North America to Europe to Asia-Pacific, and now to Latin America -- what have you learned in the way people use it? Alvarez: First, at a macro level, people have found this to be a useful tool to replace some of the contracts that were less important, and so they can rely on marketplaces. Second, we’ve really found as we’ve deployed in the US that a lot of times multinational companies are like, “Hey, that's great, I love this, but I really want to use this in Latin America.” So they want to go and get visibility elsewhere. Third, they want a tool that doesn't require any training. If I’m a procurement professional, I want my users to already be expert at using the tool. We've designed this in the process context, and in concert with the content partners. You can just walk up and start using it. You don’t have to be an expert, and it keeps you within the guardrails without even thinking about it. Gardner: And being a cloud-based, software-as-a-service (SaaS) solution you're always analyzing how it's being used -- going after that ultimate optimized user experience -- and then building those improvements back in on a constant basis?